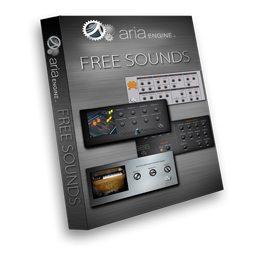 With the help of partners and friends, we are happy to announce the release the first ARIA Engine Free Sounds Pack! Various Instruments from Patch Arena, Plogue and More! Dear friends, I downloaded the Free sounds ARI and I could not install, how do I do I have the EWI USB. Grateful. the free sounds is not designed for EWI USB but for ARIA Player and Plogue sforzando. We hope to release a Volume 2 one day. But, we have a bunch of other projects higher on our list of priorities. So, no timeframe for Volume 2 release at this time. Here is a free one too https://www.youtube.com/watch?v=re5-YkCwnNQ download link in the description.